Bio: Born in Phoenix, Arizona. Lived in Texas (Houston and Austin) for thirty-five years. In Las Vegas since 1997. Ran an information technology consultancy until I retired. I like being outdoors and taking pictures of the natural world and people enjoying it. I plan to travel more in the coming years, Jeep adventuring, motorcycle adventuring, hiking, backpacking and camping. Why did you join the 52 Peak Club: To take on a meaningful challenge not easily accomplished. To improve my fitness and make new friends. 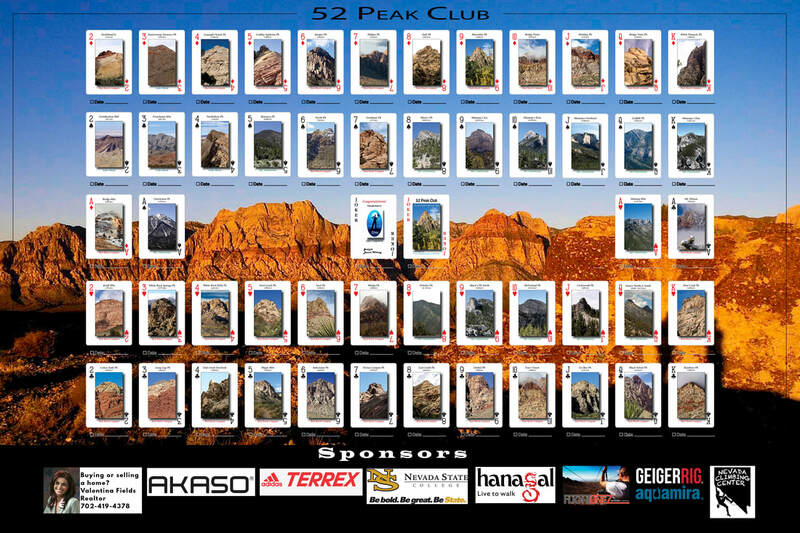 Date Completed all 52 Peaks: Nov 16th, 2013 (53rd person to become a 53er) Date completed the second deck: July 13th, 2014. Favorite Hike: So many great hikes. 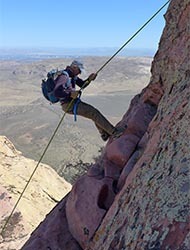 Perhaps the climb up Gunsight Notch Peak and the rappel to allow the descent off Juniper was the most entertaining overall. How did you feel once you became a 53er: It was a good feeling to achieve the goal, made better with friends. 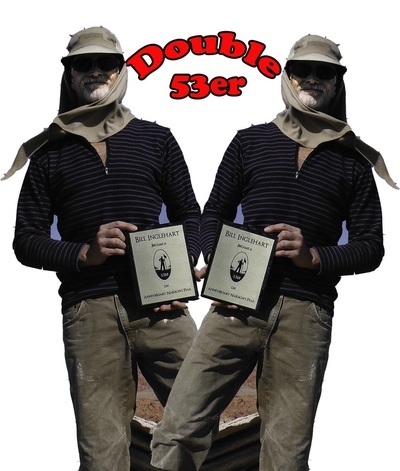 It was extra cool to become the 53rd 53er! Advice for new hikers: Get good leather gloves, good leather boots and hiking poles for Charleston and Lake Mead area hikes. For Red Rock get sticky, supportive shoes you dedicate to sandstone hikes. Carry enough water and food. Instead of sunscreen, cover your skin with protective clothing.